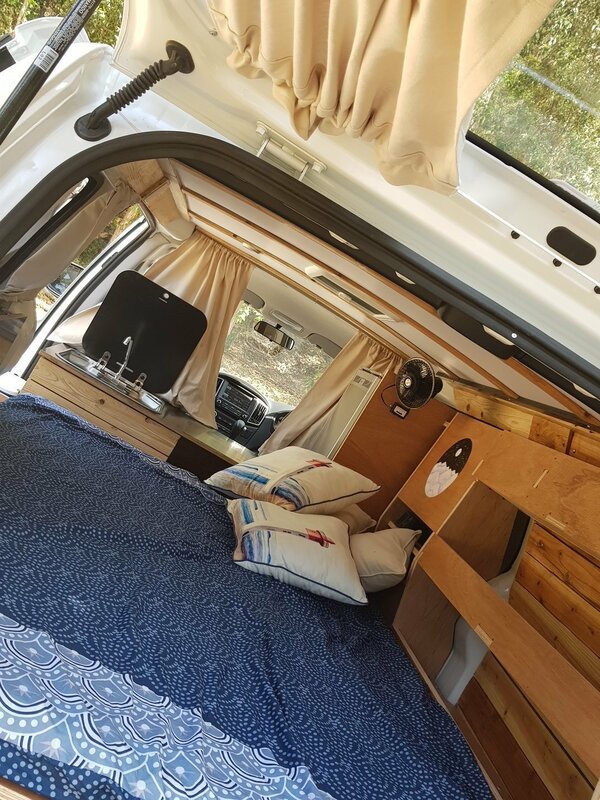 Campervan for hire in Dubbo. 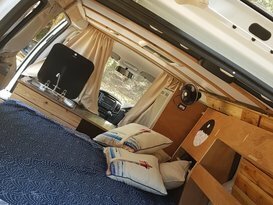 This is a brand new Hyundai iLoad Campervan with a quirky fit out. This camper is just like driving a car. Automatic, turbo diesel with the best fuel consumption out there. 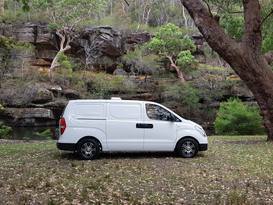 Fantastic for weekends away or long term hire from Dubbo / Western NSW. The van is nearly brand new and has been serviced and maintained immaculately. The safest van on the market! BRAND NEW CAMPERVAN WITH A QUIRKY CUSTOM FITOUT! 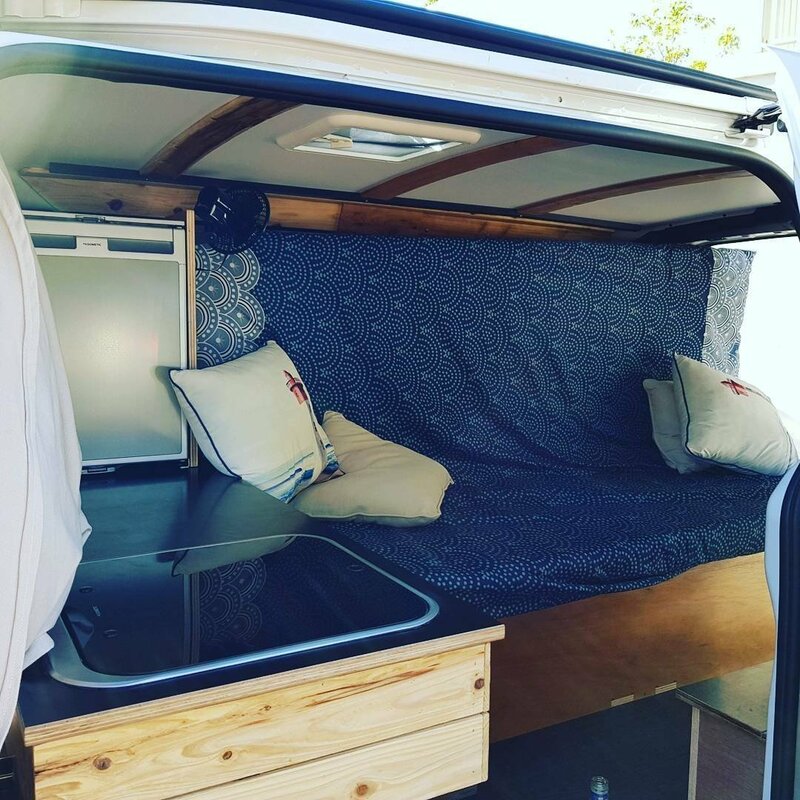 Make your #Vanlife dreams a reality without the need to invest in your own camper. 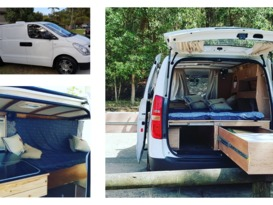 Hire this custom designed campervan for your roadtrip, whether it be North, East, South or West. This van will take you there in luxury comfort and luxury style â without breaking the bank! Our van fitouts are all locally designed and built to suit your travel needs. 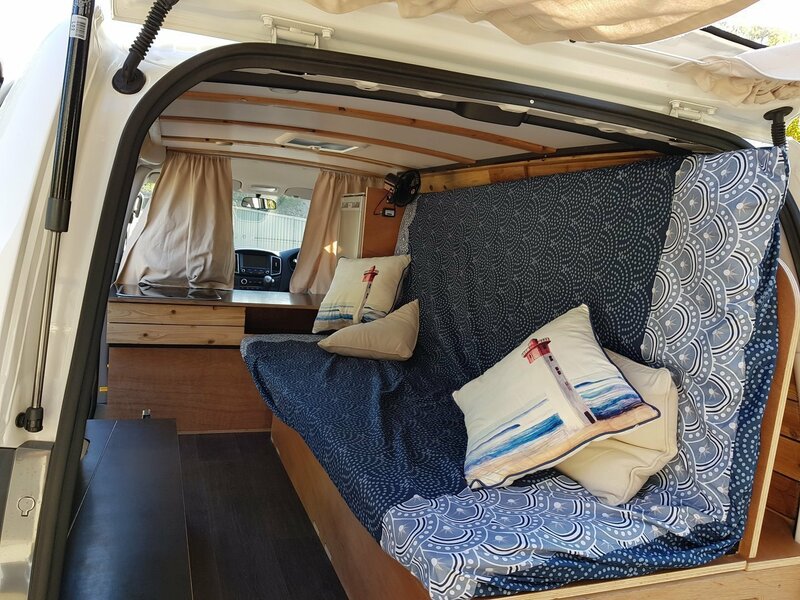 Plenty of storage, bed-to-lounge functionality, exceptional comfort, modern features and , most of all, a sense of character that you won't find in a boring commercially manufactured campervan. If you're interested in securing a booking, please send us an enqury/request and we'll gladly lock it in for you. Please tell us WHERE you plan to travel within the booking request so we can speed up the approval. All hires come with full comprehensive insurance for people 21 years and older, PLUS premium NRMA roadside assistance. Complete peace of mind. Set yourself up with the coolest accommodation (and transport!) for your favourite festival. - Return the van in an acceptably clean condition, as you picked it up. - If your travel itinerary changes drastically whilst you're away, please kindly let us know â just so we're aware of your general location. This van is great! It was clean, new, so easy to drive and very comfortable. Rodney was super helpful which made our 2 week camping drive easy and relaxed and memorable. 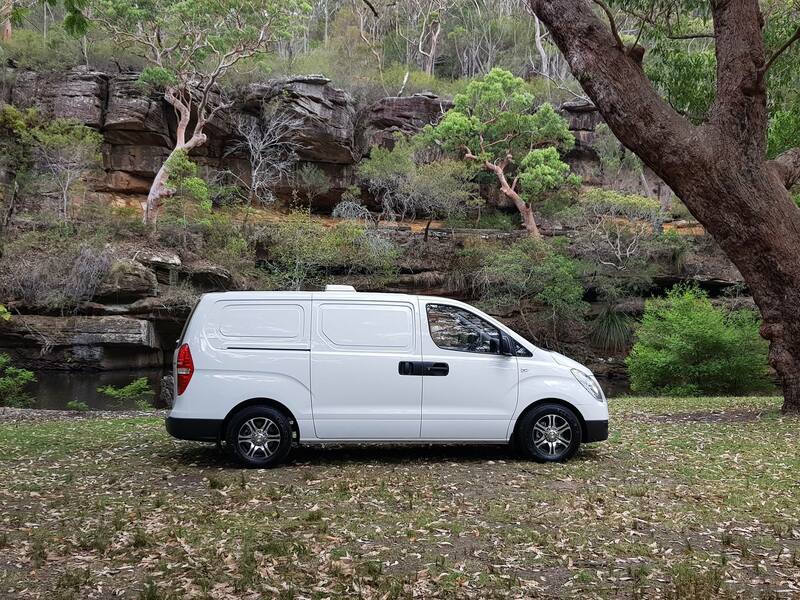 I would definitely hire this van again and I highly recommend it to others - we have hired vans off other companies before but this was by far the best. Rodney and his partner made this an amazing experience!! They both went above and beyond to make sure our trip was effortless and everything went smoothly. The van was in perfect condition and exactly what we needed very comfortable to both drive and sleep in. We had a fantastic time in Ned. Rodney was very helpful throughout the booking process and when we met him to collect the keys he had wine and cheese for us! So kind. Ned is small but very cosy and despite the cold we were much warmer in our little van than other people in the campsite who were in cabins, Ned is immaculate and has everything you need for a little trip away. We would definitely hire Ned again. Ned the camper van was so amazing! Everything we needed was organised and easy to access in the van. 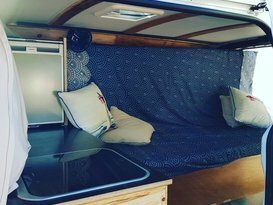 Rodney has done a great job with the layout of the van. We also found that we could use our iPhone to link up with the Hyundai navigation system (using the USB cable port) which was a huge bonus for us as it allowed the driver to view the map as well!! Would recommend this van to all ages. Rodney was also a fantastic host, super friendly and easy going - thanks for the wine and cheese !! 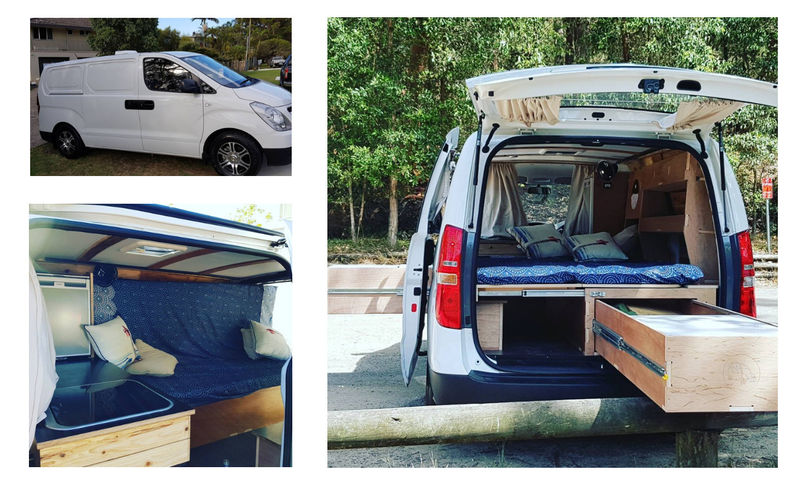 My Husband and I had a fantastic weekend away in the Wombat Camper at Jervis Bay The van is new, clean, great to drive and amazingly comfortable. 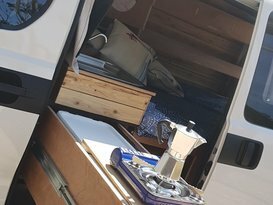 It comes equip with everything you need - outdoors chairs, stove, cutlery, fridge and much more and Rodney was very helpful and great to deal with. 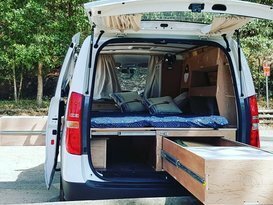 I would 100%% recommend this van - great value and perfect for a trip away. We will be booking again soon! Awesome van, could not recommend more! Everything was thought of and we didn't need to bring anything additional. We had 4 days of rain out of a 7 day holiday and it proved nice and cossy. The sliding draws and bed to sofa were great. The fridge was quiet and the air vent even allows us to get air without getting wet. The van is basically new and so easy to drive. Rodney the owner was a legend and really easy to deal with. 5 star ! Highly recommend Rodney's Wombat Camper! 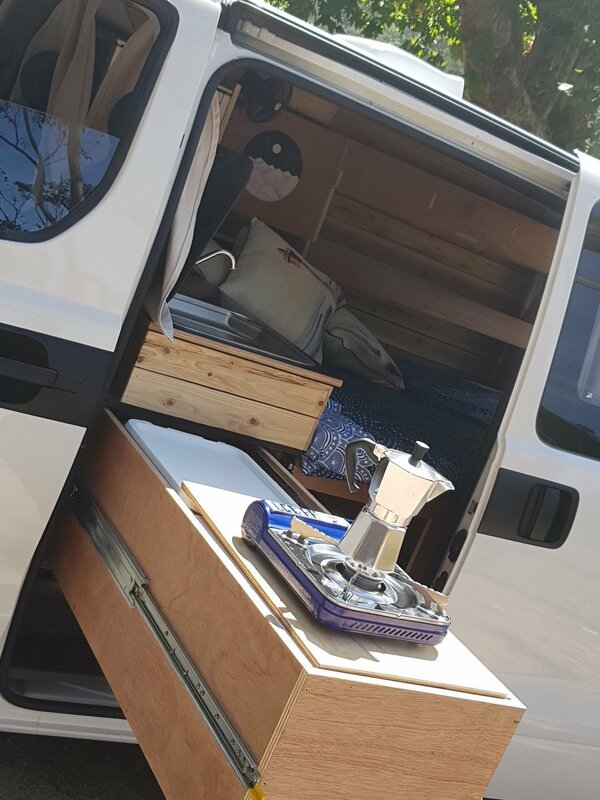 We had an awesome time with this van over 4 days - It's a breeze to drive, just like a regular car, very efficient on fuel, and kitted out with everything you would need. Bonus is that it is so comfortable to sleep in, clean and comfortable. Will definitely book again on our next trip. We would highly recommend using Rodney and the wonderful "Ned" ! Rodney was most accommodating in the drop off and collection of the vehicle, which made our lives easier. The van itself is equipped with absolutely everything you might need for your road trip, but most importantly, its a new vehicle and super easy, comfortable and reliable to drive. You can book and use with confidence. Hired this little camper for 25 days, what a terrific vehicle. Easy to drive and plenty of power, fuel efficient too. Rodney made sure it was fit- out with everything I needed, including the wine and cheese - Thank you! Did lots of free camping in this vehicle and felt really safe. Rodney was really helpful with picking me up from the airport and providing extra doona and pillows for my trip. I would definitely recommend this camper to other travellers and dealing with Rodney was a breeze. Thank you Rodney - I had a wonderful holiday! Booked this sweet camper for a weekend away with friends, kitted out with everything we could need! The van is so well built with all the mod cons, convenience whilst on the road and great interior, we were so pleased! We will definitely be booking again when we get the chance, not to mention Rodney is a top geezer! I would highly reccomend renting through wombat! Rodney has thought of everything, this van has it all for a short or long stay. 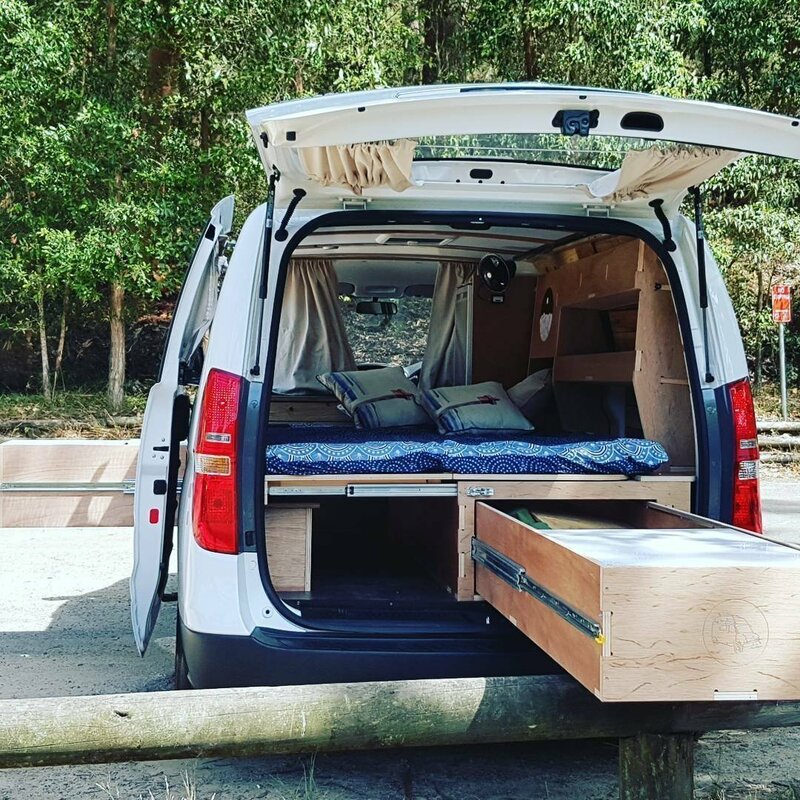 The setup of the van is just perfect for a couple on the road. Rodney dropped the van off and picked it up from locations that were best for both of us! Had a great experience with Rodney and the "Ned" Wombat van. Rodney was overtly accommodating in delivering the van, and it was thoughtfully outfitted with everything we could have needed. Roomy, comfortable, well-constructed and organized, the van proved to be a home-away-from home that we were very sad to leave behind! Did well on fuel consumption, and never had any issues with the commute, even over some dodgy terrain and hills. Would HIGHLY recommend to any travelers out there considering for their trip!! Welcome to Wombat Camper Hire - the caravan & camper experts in Western NSW. We aim to provide you with the best camping solutions. Our RVs are based in Dubbo, the hub of Western NSW. We can cater to any needs, no matter how big or small. Talk to us today about creating your perfect camping memory.